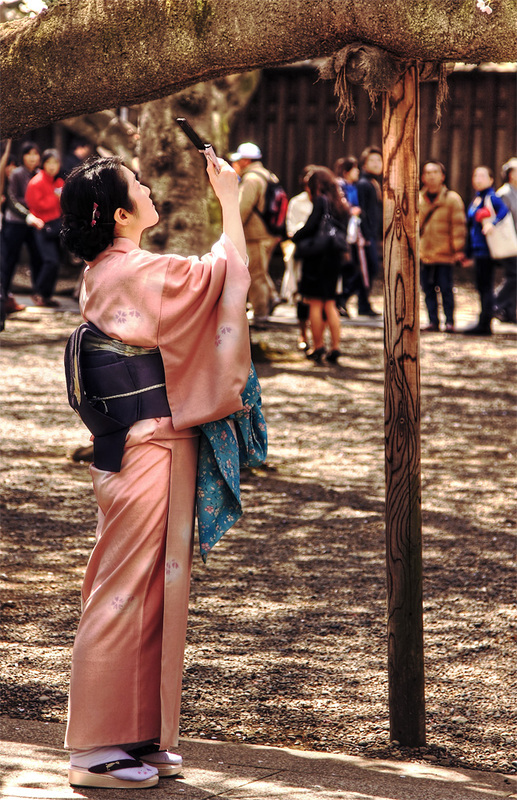 This is my third article about Sakura viewing spots in Tokyo. 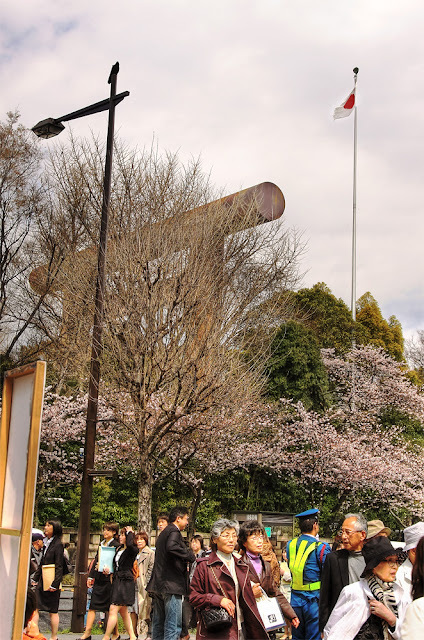 In this article, I will introduce three more fantastic sakura viewing locations, namely Yasukuni Shrine, Shinjuku Gyoen and Inokashira Park. Due to the current radioactive scare caused by the damaged Fukushima nuclear power plant, I believe many have cancelled their Sakura viewing trip to Japan this year. 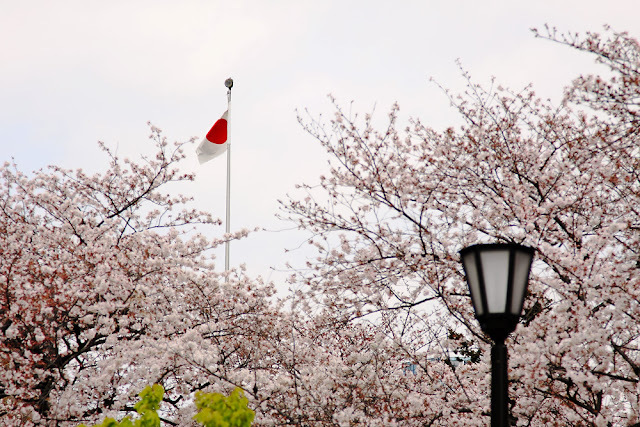 I hope that the nuclear crisis can be overcome soon and people can start visiting Japan again next year. 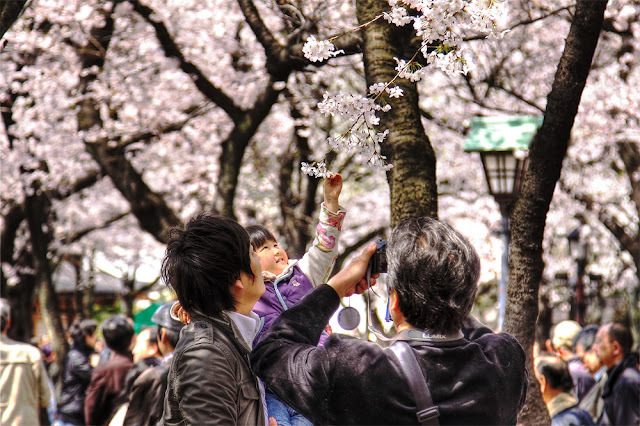 While praying for the recovery from the disaster suffered by Japan, these Sakura in Tokyo articles and pictures will serve as an alternative for Hanami (sakura viewing) online. 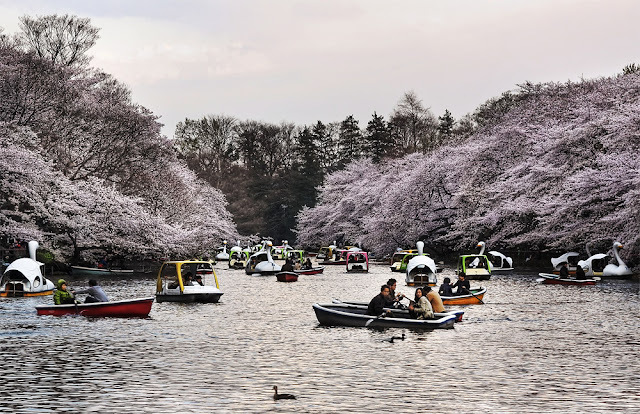 Note that these pictures were taken in Tokyo last year, while actual sakura has only started to bloom at the time this articles is written. They are fore-casted to reach full bloom in about one week from now. Located in Central Tokyo, Yasukuni Shrine is a Shinto shrine dedicated to the soldiers and others who died on behalf of the Emperor of Japan. 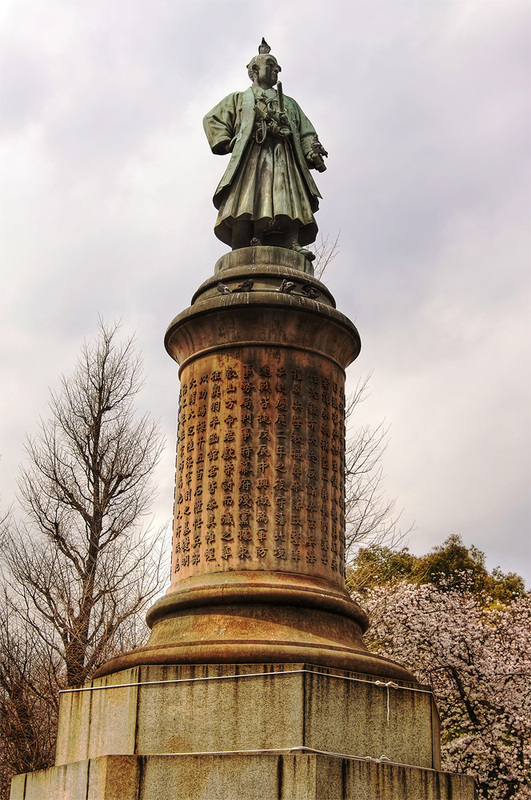 This is also the controversial shrine for the enshrinement of World War II war criminals. The shrine was founded in 1869 as Tokyo Shokonsha, and was renamed Yasukuni Shrine in 1879 where Yasukuni means "peaceful country" in Japanese. 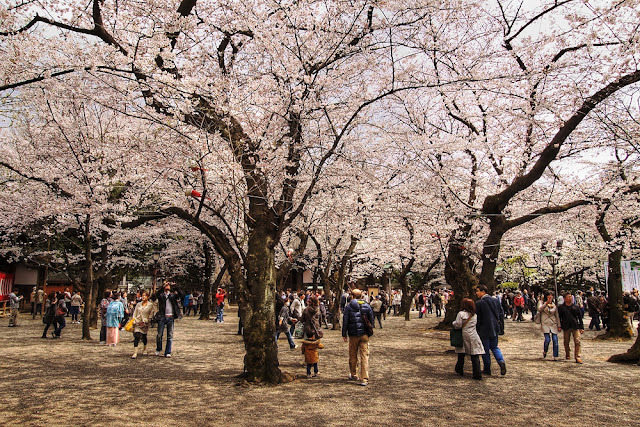 There are about one thousand cherry trees planted here. 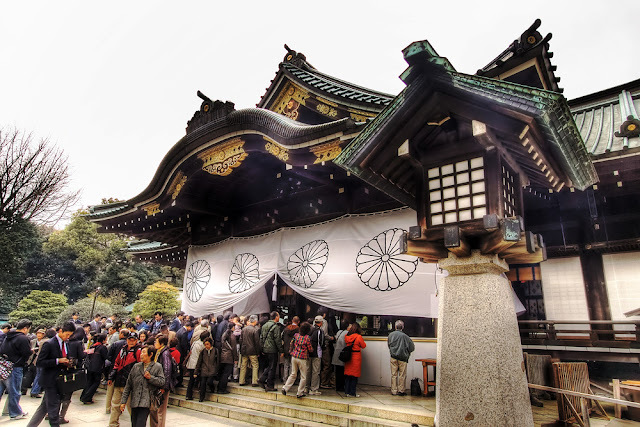 Yasukuni Shrine is just a short walk from Kudanshita Station, which can be reached by taking the Hanzomon, Tozai and Shinjuku Subway Lines. 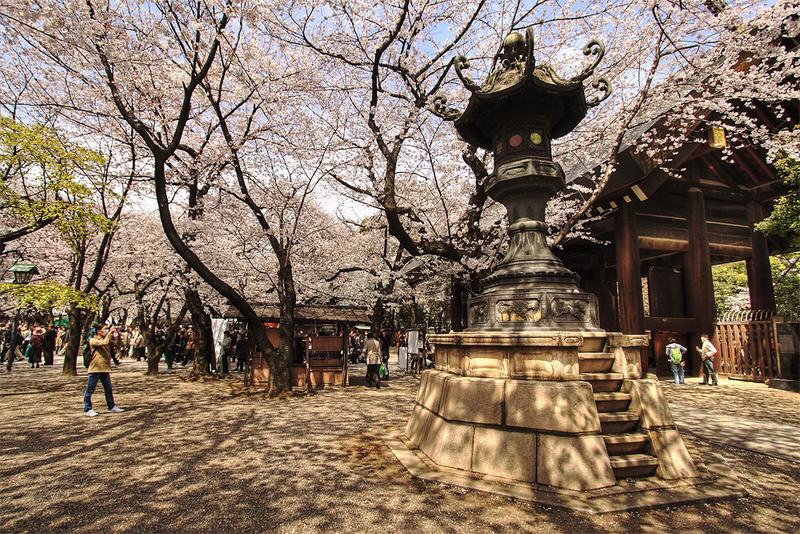 It is also located opposite of another popular sakura viewing spot, Chidorigafuchi as introduced in my previous sakura viewing article. So, plan to spend more time here as there are two popular sakura viewing locations for you to visit. Another advice is to be there early as these spots will be flooded by both visitors and locals especially during the full bloom period. 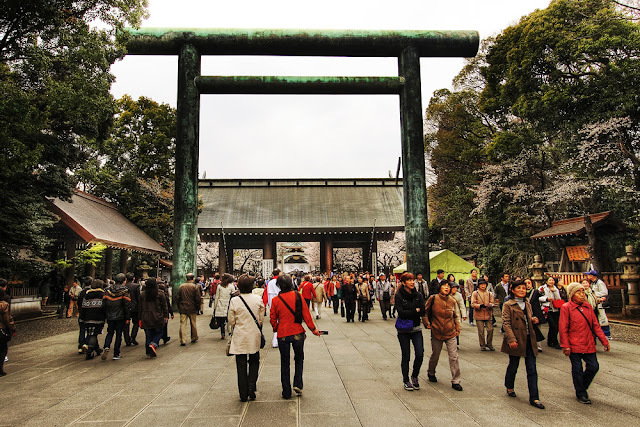 There is no entrance fees charged to visit Yasukuni Shrine. 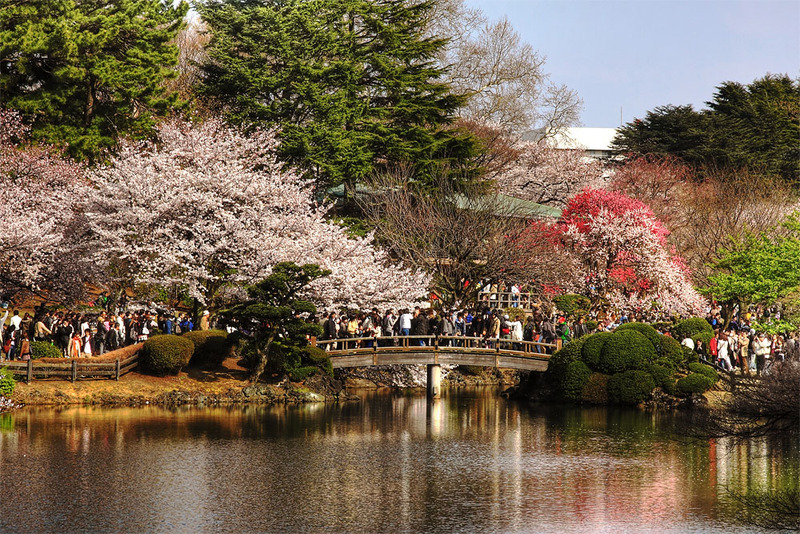 Shinjuku Gyoen is one of Tokyo's largest park and features more than a thousand sakura trees of more than a dozen different species. With an entrance fees of 200yen for adults, it is one of the most popular hanami (flower viewing) spot in Tokyo where it will be crowded by early April each year. There are three types of garden in Shinjuku Gyoen, an English landscape garden with wide lawns, a traditional Japanese garden with teahouses and a symmetrically arranged, formal French garden. Shinjuku Gyoen has three gates. The Shinjuku Gate is a 10 minute walk east from the "New South Exit" of JR Shinjuku Station, while Sendagaya Gate is a 5 minute walk from JR Sendagaya Station on the local Chuo/Sobu Line. 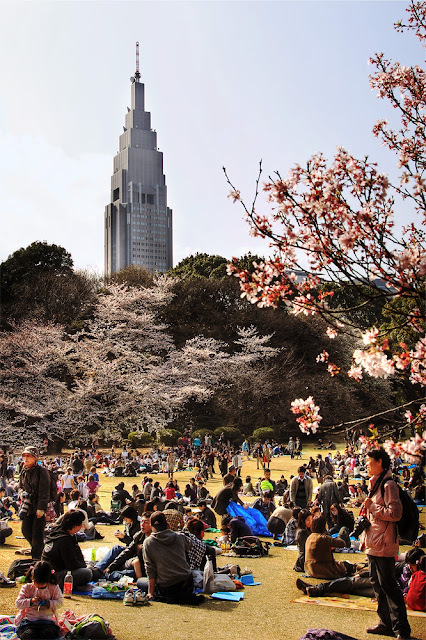 If you like taking the subway, Shinjukugyoenmae Station on the Marunouchi Subway Line, is a short walk from either the Okido or Shinjuku Gate. My recommendation - get ready to walk a lot in this huge park. 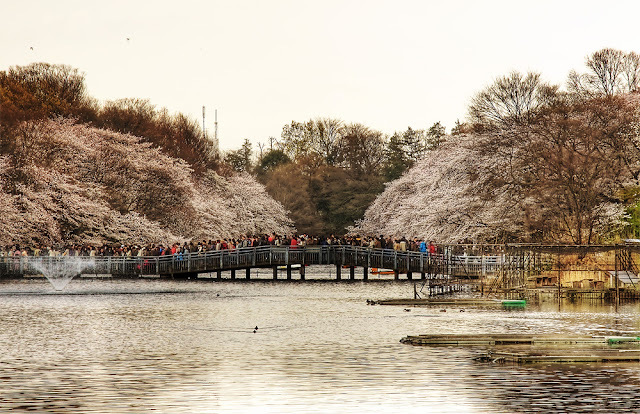 While it will be packed with people, it should not cause a lot of trouble enjoying the sakura flowers as the park is very spacious, enough for one to walk freely. Inokashira Park is considered a gift from the emperor to the general public. Located in Mitaka, western Tokyo, it is a popular hanami spot for locals. A pond is featured in the park where people can rent a boat to get close to the cherry trees. 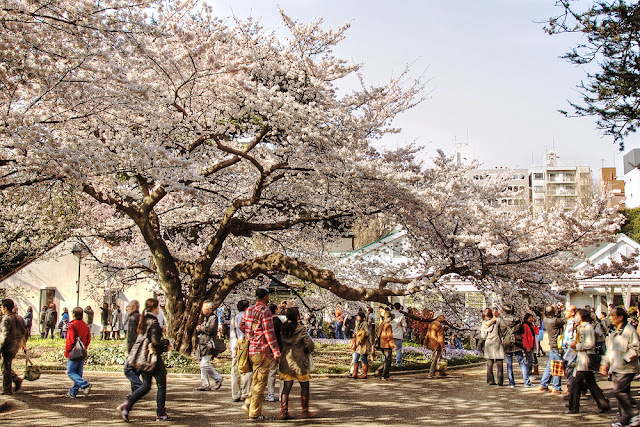 The park is located south of Kichijoji Station of JR Chuo Line, at a 5 minutes walking distance. The entrance to the park is free. 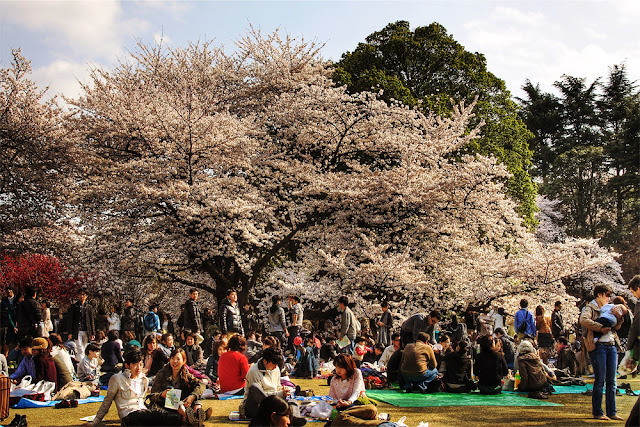 My recommendation - Although the park is not as spacious as Shinjuku Gyoen, the crowd will not cause much problem for one to view sakura trees. 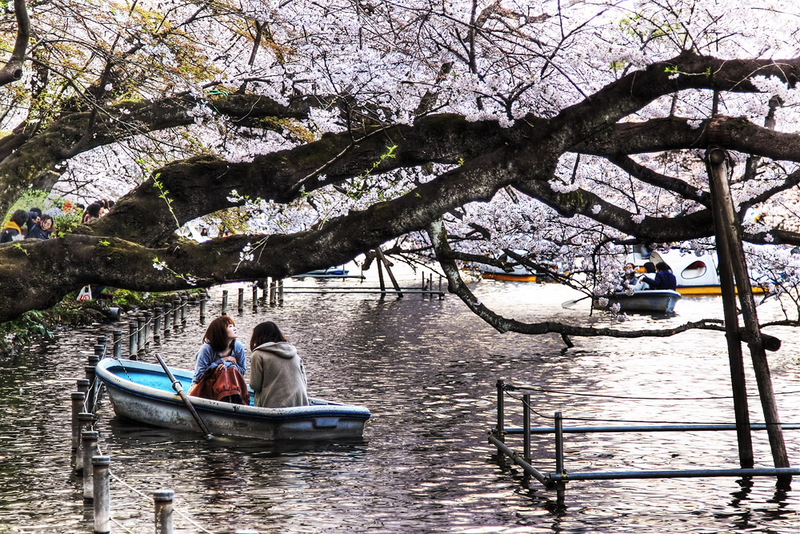 So, you do not need to rush to this place at the beginning of the day. 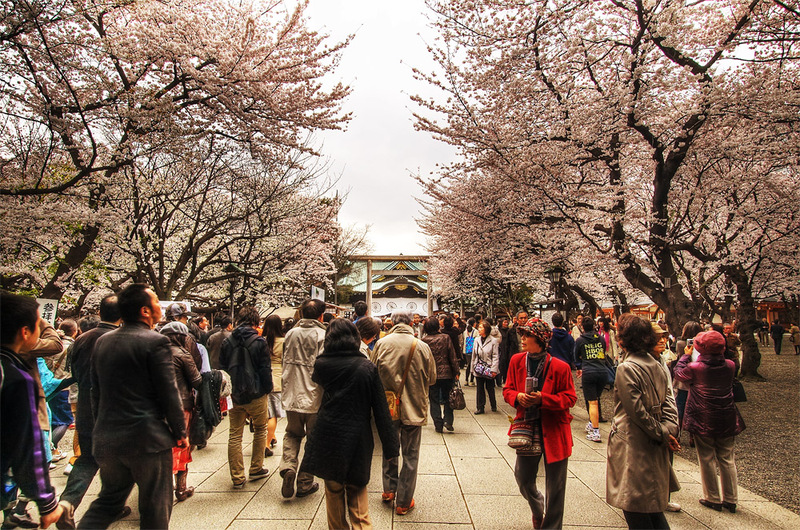 Go to those places that will be extremely crowded first to avoid the peak hours, then visit here later of the day. 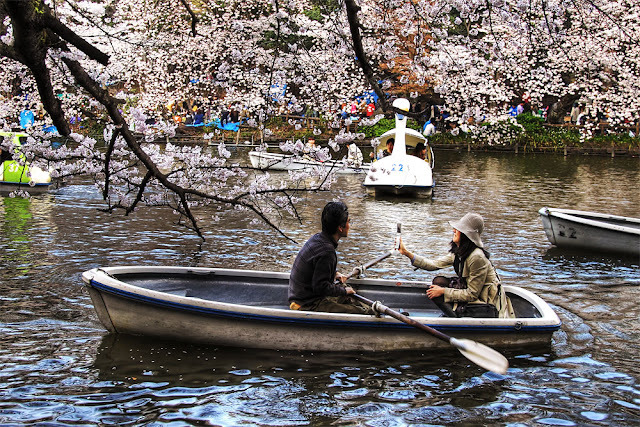 With this, I end my Sakura in Tokyo series of articles. I hope you benefited from my recommendations and enjoyed my pictures. 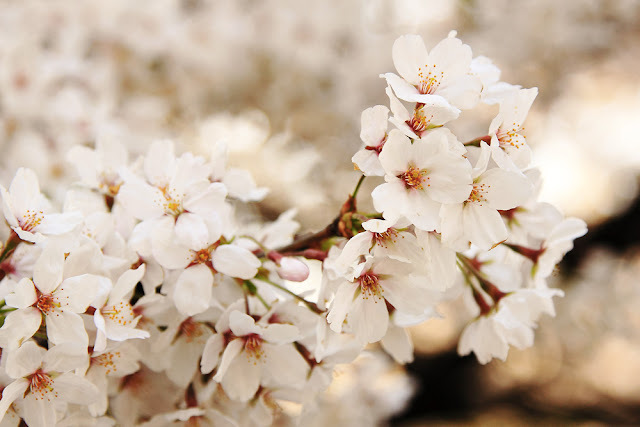 If you like them, please share these articles with your friends and family. 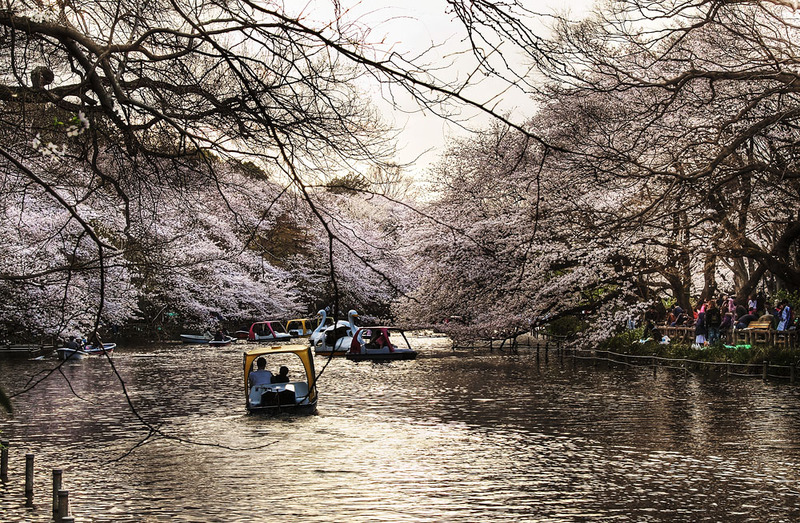 Coming up, I will share some of the sakura pictures taken along a canal behind my previously rented house in Kisarazu town. Stay tuned and have a nice sakura season all around the globe, even if you are not in Japan.